Debuting in 1970 as basketball’s first all-leather low top, the adidas Superstar sneaker continues to excite as a streetwear star. Inspired by the ’80s version of the iconic design. This rendition of the shoe features shiny leather that swaps out the signature laces for two big straps. 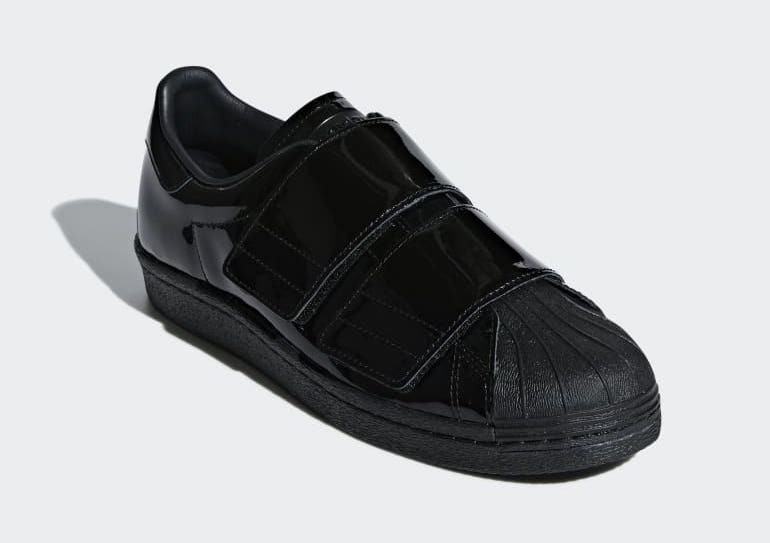 Completely dressed in a “Triple Black” color scheme that’s completed with its shell toe. Look for the adidas Superstar 80s CF “Black Patent” to release on November 1st at select adidas Originals retailers and adidas.com. The retail price tag is set at $120 USD.